Accessorize your rain boots with the Sienna Short Rainboot Socks! Designed to pair with the UGG® Sienna rain boot. 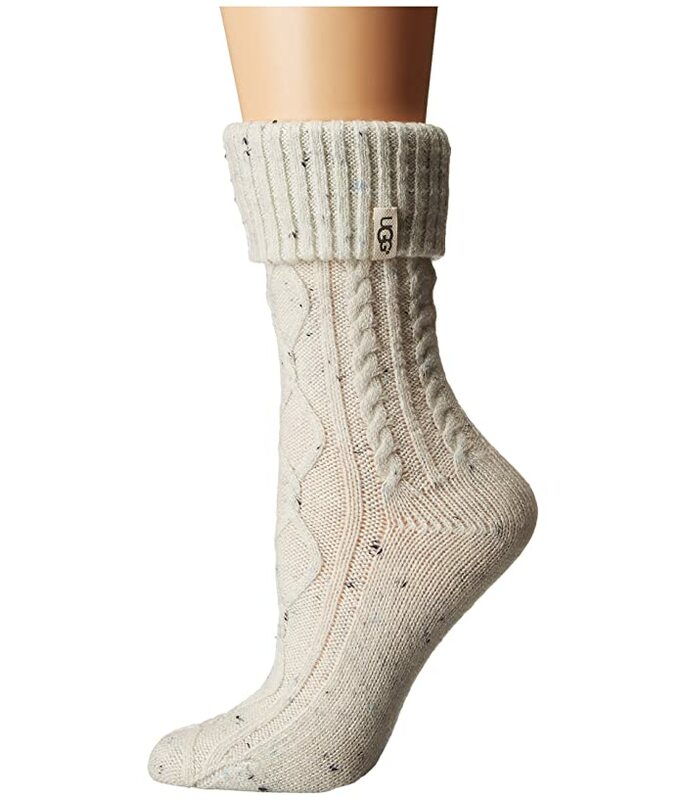 Cable knit socks has a ribbed cuff that folds over to stay in place. 43% acrylic, 36% nylon, 19% wool, 2% spandex.